- "modular music" - a piece of music comprising of modules, or parts, which can be reassembled and rearranged freely on the go. The instruments communicate with each other through sound itself, in the same way as improvising musicians do. 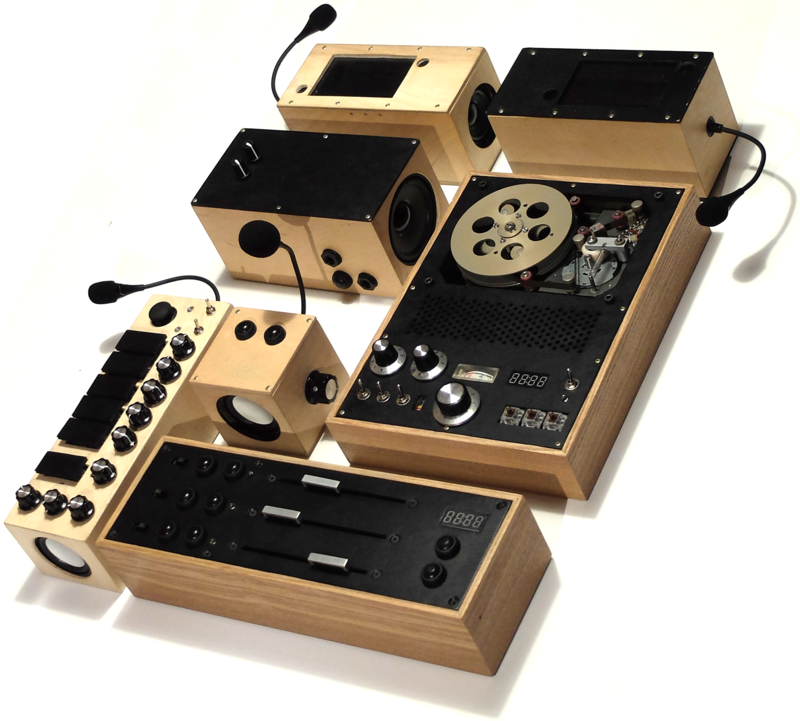 Unlike a typical modular synth, rather than connecting the modules with patchcords, each instrument has a speaker and a gooseneck microphone, so they can listen to each other or to any other external sounds. Some of the instruments are controlled only with sound, other could be also controlled manually. The instruments are designed to make their interactions and the process of creating sound clearly visible and comprehensible to the audience - visual feedback is provided by mechanical movement of the elements. - String Box V.2 creates harmonies based on notes detected in external sounds, it can be triggered by short percussive sounds. Rhythm Box and String Box were created in late 2016 as "Feedboxes", but their software had been rewritten in 2019 to suit the Modular Process Music project. The project can be presented as a performance and / or workshop; some of the instruments can be also presented as interactive objects / installations.